HAGERSTOWN, MD - The Hagerstown Suns (2-3, 87-53) closed their 2014 season by falling to the Asheville Tourists (3-2, 89-49) by a final of 4-1 in game five of the best-of-five South Atlantic League Championship Series on Saturday night. It is the second year in a row the Suns have lost in the South Atlantic League Championship Series. The Tourists wasted no time going ahead on Saturday, as they took a 1-0 lead in the top of the first. Third baseman Ryan McMahon drew a two-out walk, and he advanced to second on a throwing error by RHP Nick Pivetta (0-2). McMahon scored from second on a line drive single to right by 1B Correlle Prime. The Asheville lead grew to two in the third. With one out DH Raimel Tapia sent a ball out of the park over the center field wall for his first homerun of the postseason, making it 2-0 Tourists. The lead doubled in the fourth thanks to a two-out, two-run double by 2B Zach Osborne, which brought Prime home from second and catcher Jose Briceno home from first. That made it 4-0 Asheville after three and a half innings. The lead remained at 4-0 until the eighth, when Hagerstown picked up its only run. Center fielder Rafael Bautista reached first on a fielding error by McMahon. Second baseman Wilmer Difo then singled to right, pushing Bautista to third. Bautista scored from third on a groundout to short by LF Narciso Mesa, setting the final score at 4-1. Starting RHP Konner Wade (2-0) tossed seven scoreless frames to pick up the win for the Tourists. He allowed five hits while striking out six. Pivetta suffered the loss for the Suns. He went five innings, giving up four runs (three earned) on six hits and two walks while striking out five. LHP Trent Daniel threw the final 1.1 innings for Asheville to record his third save of the postseason. The Championship for Asheville is their second in three seasons and their third in team history. The Suns have still never won a South Atlantic League title. 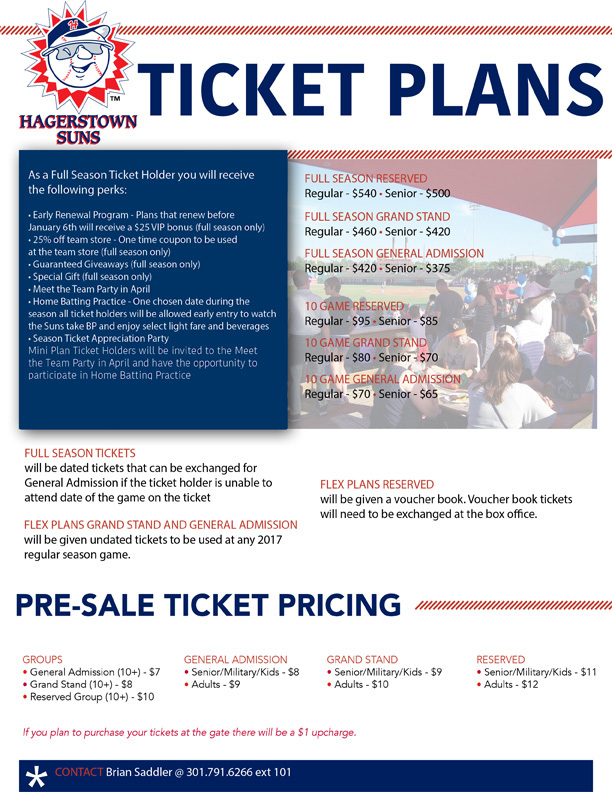 The Suns will begin the 2015 season on Thursday April 9 at Hickory.